Just dropping in for a quick farro cooking lesson this week. I've mentioned in our last real family food post that I'm trying to swap some go-to carbs (like white rice and pasta) for more whole grains. Farro is a really great example of an often overlooked grain that is packed with flavor and nutrients. 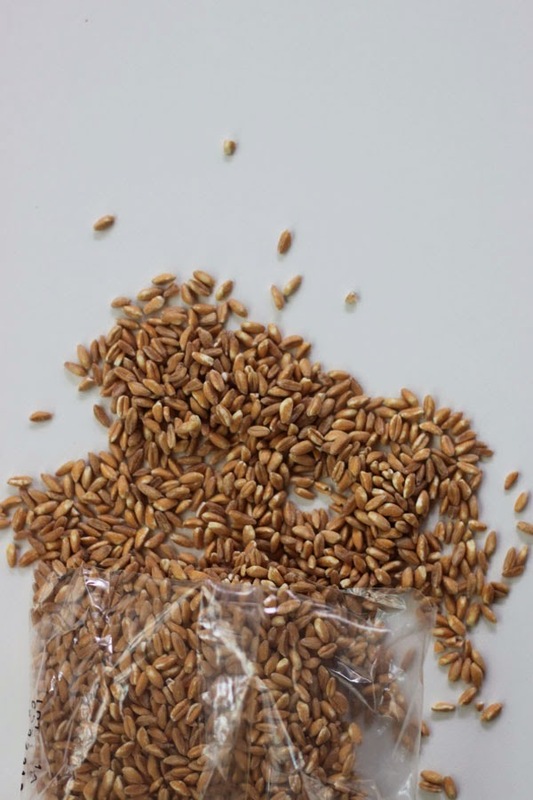 Farro is a wheat grain of ancient Mediterranean origin that is still quite popular in Italy. 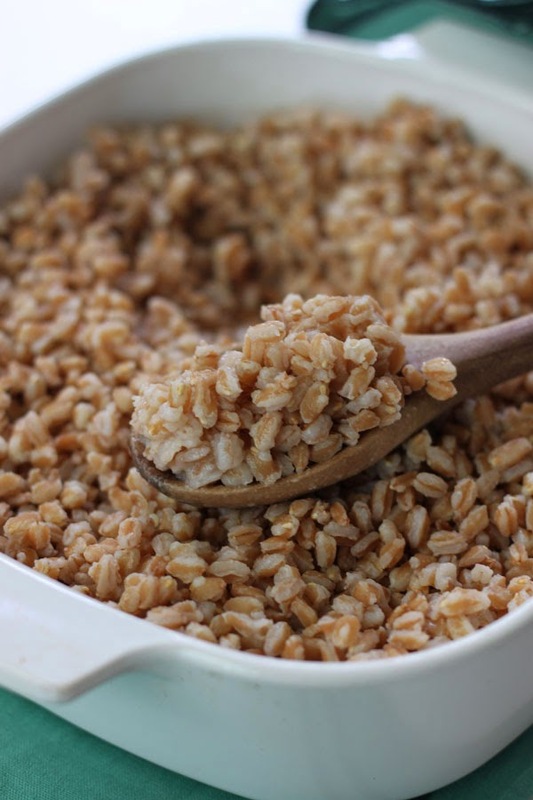 Farro actually consists of three different grain farro medio begin the most common in the US. Look for pearled or semi-pearled farro, which has had some of its tough outer layer removed to make it cook faster. Its high in fiber, zinc and vitamin B! Until recently I had tried the traditional (i.e. I read it on the bag) cooking directions of boiling the farro in salted water I found that it either took forever or I ended up with mushy farro! 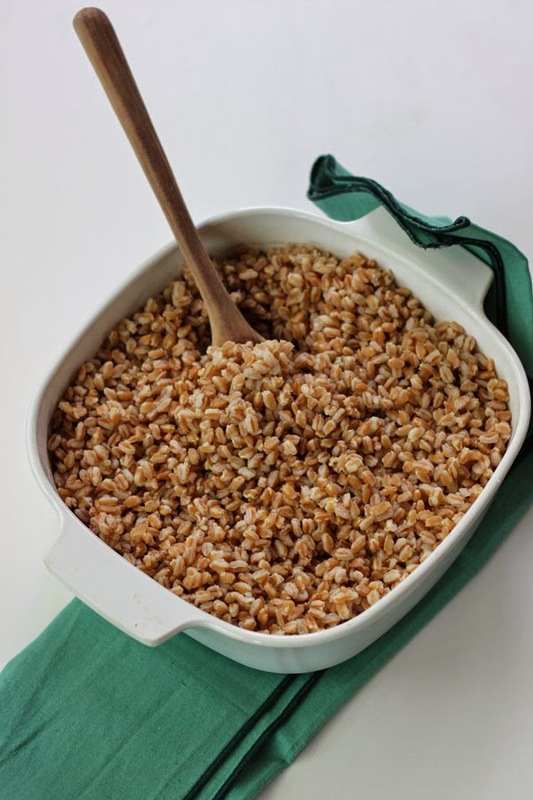 Recently I tried baking it - which is both faster than boiling AND produces perfect fluffy farro every time. Combine the faro, butter, and salt in a 2-quart glass-baking dish. Add the boiling water, cover (with the dish’s lid or aluminum foil) and bake for 30 minutes. Remove from the oven and rest covered for 10 minutes. Remove the lid and fluff the faro with a fork. * I typically bring the 3 cups of water to a boiling in the microwave - use a microwave safe measuring cup and try 3 minutes on high heat. Use caution (and an oven mitt) when removing from the microwave!